"My father was a good man, and he tried to raise me to be the same. You’re a monster, and all you did was create a worse monster than yourself." Distinctions: He has three claw scars running from the top of his left temple, across his nose, and down to the bottom his right jawbone. He also has a short beard. Vliron is down-to-earth and responsible-minded. He is precise, reserved and demanding. He seems harsh, quiet, and distant to outsiders, but he has a great deal of wit and esprit. He expects a lot of himself and others. Once Vliron has his mind set on something, it is difficult to persuade him otherwise. He has little time for extravagances and flightiness. Whoever has him as a friend or partner can rely on him for a lifetime. However, it takes quite a while for Vliron to enter into a relationship or friendship. He has little need for social contacts; he therefore limits himself to a small but exclusive circle of friends who meet his high demands. He tends to show his closeness to people who are important to him by by deeds, not words. Vliron's history is dark and difficult to piece together, at best. Sloan aka "Demetrius" said that he was Vliron's father, and also hinted to the fact that Vliron was the child of a whore. Vliron, however, insisted that his father was the man who raised him. Demitreah also seemed to have had some special plan for Vliron at one point, because she said that he was a disappointment to her. What plans those were, though, are unknown. Roughly about the time that Keegan's village was massacred, Vliron was taken into captivity, and Demetrius killed all his family. From where he came and why he was taken captive is unclear. For thirteen years Vliron was forced to be a "sporter", a gladiator, though it seems that he has had formal training as an assassin as well. 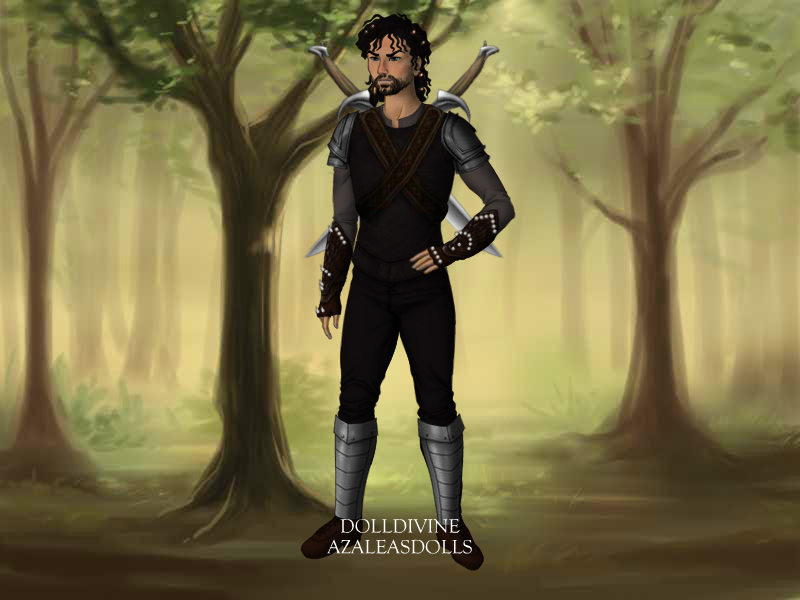 He is particularly good at killing dragons and knows a great deal about Roshar and Dorr Wolves. He was well acquainted with Gala's girl cousin, Willow, who was captured with the intent of being Vliron's next sporter kill. However, Vliron was nearly burned to death by a dragon and, because he was unpredictable and dangerous, even when wounded, Willow was forced to be his healer. It seems that, during the time it took for him to heal, he and Willow became very close. ​He helped Willow escape, but he remained behind. Some time later, Willow tried to help him escape, but a Dorr Wolf surprised her and crushed her skull. She did not die immediately, so Vliron was forced to put her out of her misery. When she died, he gave up the desire to live. He might have wasted away in his cage, but a crippled Roshar who had been Vliron's keeper for all this time, told Vliron, in detail, about the rise of the Valad Drakoan. Some bit of life rekindled in Vliron at the news, and it grew into a fiery passion that fed his need for vengeance. Some time later, Vliron managed to escape again. He was found by the Void Lords, who approached him with an offer - he would be given his freedom in exchange for killing an old dragon in the wild and retrieving an ancient sword. Vliron accepted the offer and was set loose. He found and killed the old dragon and spent days searching its lair for the sword. He finally found it sealed in a box, hidden behind a false wall. He opened the seal on the box, and when he realized that the sword inside was Mazgaroth, he removed it and replaced it with another sword, resealing the box. He wrapped Mazgaroth in an old clothe and tucked it away in the dragon's lair, then he returned the sealed box to the Void Lords. When it was discovered that the sword inside was a fake, Vliron claimed to be ignorant of the fact. He went on to suggest that the Valad Drakoan might be the only person able to find the sword. When the idea was accepted, Vliron offered to lure the Valad Drakoan into finding the sword. He promised that he would steal the sword from the Valad Drakoan, but only if Demetrius promised to meet him in person to claim it. His offer was accepted, and he was set loose again to carry out his deed.